The Veesilk Collection is simply superb. A blend of materials that give way for a silk feel and look without the slip. 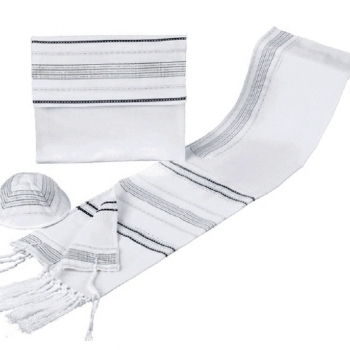 Unique striping and tasseled ends makes this tallit set ideal for Adult and young alike. Available in Pin striped metallic gold or silver.